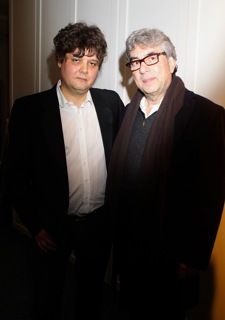 Here I am with the great Ron Sexsmith who Ariella and I saw last night at a special gig showcasing tracks from his new album ‘Forever Endeavour’. I’m a long-time fan of Ron. We discussed the possibility of writing together. I urge you to check out Ron’s last album ‘Long Player Late Bloomer’ and his beautiful song ‘There’s gold in them hills’.